The many false starts of the Republican-led effort to dismantle the Affordable Care Act (ACA), along with the Trump administration’s continued efforts to undermine the healthcare law, have inspired some states to start laying the groundwork to build their own healthcare solutions. In Maryland, the state legislature has passed a bill establishing a reinsurance program for 2019 . The program would use up to $400 million to provide payments to health insurers to help pay for high-cost claims which could help to reduce insurance premiums for Maryland residents by 20%. Insurance companies serving the state would pay fees of 2.75% of premiums to fund the reinsurance program. Alaska, Minnesota and Oregon have created reinsurance programs designed to cover higher-than-average claims with state money and thereby reduce overall risk for insurance companies to offer consumers lower premiums. The Wisconsin state legislature passed a bill signed into law that will have the state apply for a Section 1332 waiver for 2019 to institute a reinsurance program. Under the program, the state would use $200 million to help offset high-cost claims and is projected to reduce insurance premiums by 10%. Hawaii’s legislature is considering a bill to start a state reinsurance program. Ohio recently indicated that it is pursuing a state reinsurance program that would provide some reimbursement to insurance companies for high-cost medical claims. Louisiana and Indiana also are looking at establishing reinsurance plans for 2019. The concept of states creating their own individual mandates is also being pursued in light of the ACA’s individual mandate essentially being repealed by recent federal tax reform legislation that reduced the tax penalty to $0 starting in 2019 for any American who does not obtain health insurance. In Maryland, the state legislature is considering a bill to establish a statewide individual mandate similar to the ACA’s, imposing on state residents a $700 fine for not having health insurance as a down payment for purchasing insurance from the state healthcare exchange in the following year. California, Connecticut, Hawaii, Rhode Island, Washington, Minnesota, New Jersey and Vermont, as well as the District of Columbia, are publicly considering similar ideas about forming their own state-based individual mandates. Massachusetts already has an individual mandate through its own state healthcare laws. The Commonwealth continues to adopt new laws for bettering its platform. As the New Jersey legislature considers a state individual mandate, newly elected Democratic Gov. Phil Murphy signed an executive order directing state agencies to invest in greater outreach and education to encourage more people to sign up for coverage on the state insurance exchange when it opens in November. The District of Columbia will soon be requiring insurance companies to provide coverage for preventative health care services and products without imposing any cost-sharing requirements. The Defending Access to Women’s Health Care Services Amendment Act requires insurers to pay for a number of preventative health services, including breast cancer, diabetes and HIV screenings, well-woman exams, counseling for domestic violence survivors and breastfeeding support with no out-of-pocket expense. The action was taken as a preventive step in case further changes undermining women’s health were made to the ACA. Nevada’s health insurance exchange will stop using Healthcare.gov as its platform in 2019, replacing it with Nevada Health Link, a state-run platform. The state anticipates that it will reduce costs and increase efficiencies by offering health insurance using its own state-run platform. It will also provide officials with more direct information about who is purchasing individual plans to better target state residents through advertising and marketing promoting the availability of healthcare options. Nevada will join California, Colorado, Connecticut, Idaho, Maryland, Massachusetts, Minnesota, New York, Rhode Island, Vermont, Washington State, and the District of Columbia, which run their own healthcare exchanges. Iowa has decided to pursue a similar approach to Idaho’s hoping for different results. The state recently passed legislation encouraging small businesses and self-employed individuals to join forces to buy into lower-cost association health plans that do not meet ACA requirements. The legislation also allows the Iowa Farm Bureau to offer lower-cost benefit plans with Wellmark Blue Cross and Blue Shield not under the jurisdiction of federal or state insurance regulations because they would not be considered health insurance. The Farm Bureau had partnered with Wellmark to offer health insurance plans prior to the ACA’s implementation. To top it all off, 20 states have filed a lawsuit challenging the constitutionality of the ACA now that the recently enacted Tax Cuts and Jobs Act eliminated the individual tax penalty for the ACA’s individual mandate, starting in 2019, while leaving the individual mandate language in the ACA. The states claim that the ACA now contains an individual mandate that has no constitutional basis, and that makes it and the ACA unconstitutional. The Supreme Court had previously ruled that the ACA’s individual mandate was constitutional because of Congress’s ability to tax. The lawsuit was filed by the attorneys general for the states of Wisconsin, Alabama, Arkansas, Arizona, Florida, Georgia, Indiana, Kansas, Louisiana, Missouri, Nebraska, South Carolina, South Dakota, Tennessee, Utah, West Virginia, Texas, and by the governors of Maine and Mississippi in the U.S, District Court, Northern District of Texas, Fort Worth Division. What does it all mean? Greater complexity for businesses with locations in multiple states. Imagine the challenges of grappling with different healthcare requirements from state to state as more and more changes are implemented by state governments in reaction to the continuous efforts to change the healthcare laws by the Trump administration and Republicans in Congress. Bottom line, expect an already complex system to become even more complex. In the meantime, the IRS continues with its enforcement of the individual mandate in 2018. 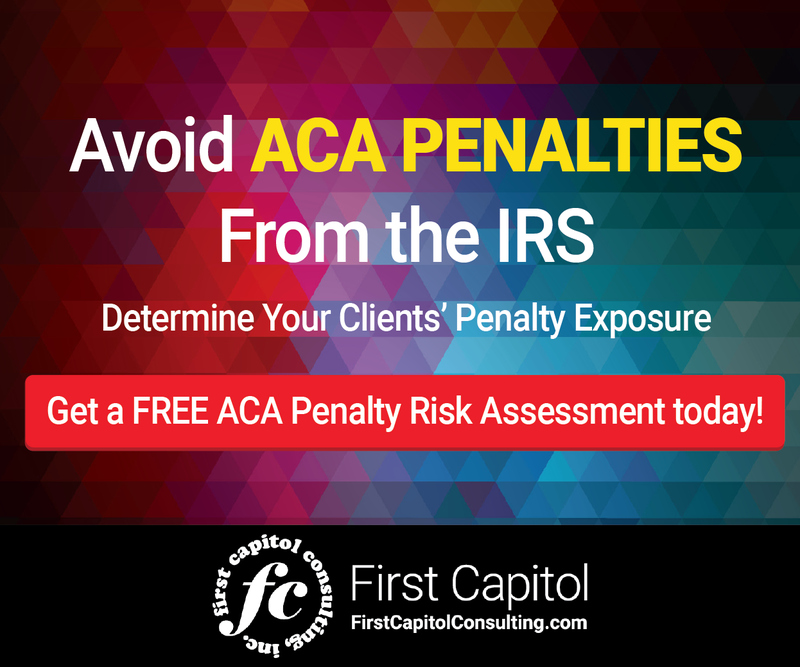 The IRS also continues with its ongoing enforcement of the ACA’s employer mandate. 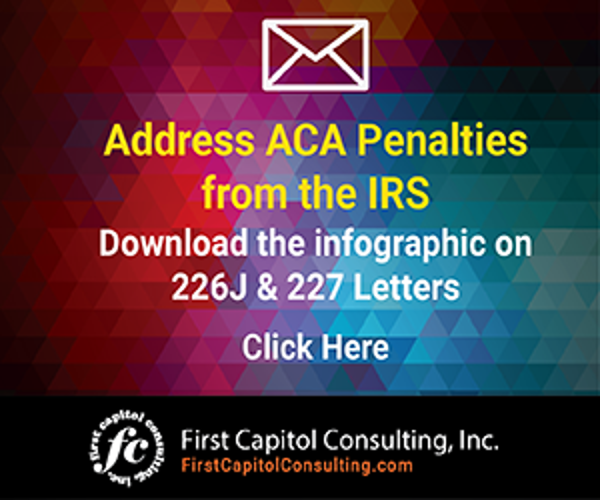 More Letter 226Js tax penalty notices were issued in March containing ACA penalty assessments for ACA information filings for the 2015 tax year. Some of these IRS Letter 226J notices contained penalties in the millions of dollars. More are expected to be issued in 2018, including for 2016 tax year filings. For an infographic on how to respond to Letter 226J penalty notices, click here. States appear ready to step up and take action to address rising healthcare premiums and the loss of the Affordable Care Act’s individual mandate in 2019. The only thing we know for sure is that healthcare is going to become more complex.